SACRAMENTO, Calif. /California Newswire/ — On Tuesday, Calif. Governor Edmund G. Brown Jr. and State Treasurer Bill Lockyer announced key actions approved late yesterday to help revive and expand the popular Property Assessed Clean Energy (PACE) program, which makes residential energy and water efficiency projects more affordable and accessible for California homeowners by enabling them to pay off these investments over time on their property tax bills. Yesterday’s action creates a $10 million mortgage loss reserve program, administered by the California Alternative Energy and Advanced Transportation Financing Authority (CAEATFA), which Treasurer Lockyer chairs. The loss reserve program, approved late yesterday by the Office of Administrative Law (OAL), is intended to ease concerns expressed by the Federal Housing Finance Agency (FHFA) by providing funds to reimburse the first mortgage lender for the PACE payments it paid while in possession of the property during a foreclosure. In addition, the reserve can cover overdue PACE payments in the event the county sells the property for unpaid taxes. PACE allows local government agencies to sell bonds to finance energy and water efficiency, and renewable energy generation projects on residential property. Participating homeowners have liens placed on their homes, and pay off the liens with monthly payments on their property tax bills. Projects such as the purchase and installation of low-flow toilets, home insulation, solar panels or Energy Star Qualified light fixtures may be eligible for financing. In 2010, residential PACE financing programs had been largely halted because the FHFA determined that PACE financing put first mortgage lenders at risk, including those backed by the federal government, in cases of foreclosure or forced sale for unpaid property taxes. 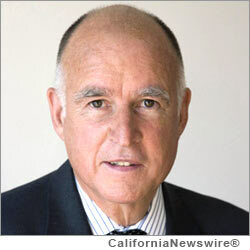 Over the last four years, Governor Brown has been working to establish PACE as a viable option for homeowners. As Attorney General, he sued FHFA to prevent them from promulgating rules that would have stymied the program and asked President Obama to intervene. Along with the Obama Administration and bipartisan support in Congress, Governor Brown has continued to support PACE financing for clean energy and energy and water efficient upgrades for California homeowners. Lockyer has long been supportive of PACE financing. In 2012, he urged the FHFA to adopt loan risk mitigation rules that would protect lenders, while allowing communities and homeowners to benefit from the availability of PACE financing. Local PACE programs can apply directly to CAEATFA to participate in the program.